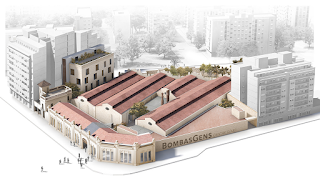 The private Foundation Per Amor a l'Art presents its contemporary art collection, built with the artistic advice of Vicente Todolí in the last seven years, in the Art Center Bombas Gens: an Art Déco geometric style building located in an old factory from the 1930s. It is a unique gem of Valencian industrial heritage with a surface area of 6,200 square metres. The comprehensive collection is composed of national and international artists, with a special interest in photography and abstract languages in painting and sculpture. Constantly growing, it boasts more than 1,500 works from more than 150 artists. Nuria Enguita is the director of the Art Center. Fundació Per Amor a l'Art is a foundation dedicated to art (seeking to heighten artistic sensibility in society by showing its Per Amor a l'Art collection to the public), research (studying and promoting aspects related with Wilson's disease and other rare illnesses) and social action (concerned with the poor and underprivileged, particularly children in situations of vulnerability). Bleda y Rosa. A Geography of Time surveys 25 years' work by María Bleda (Castelló, 1969) and José María Rosa (Albacete, 1970) based on the series Campos de batalla, a recently finalised project depicting battlefields which begun in 1994 and will be shown in its entirety for the first time. The show opens with Campos de Futbol (1992-1995), the duo's first publicly acclaimed project, a series showcasing football pitches which established a dialectic between place, time and memory and thus laid the conceptual foundations for their later work. The exhibition also includes works from the series Origen (2003-) and Prontuario. Notas en torno a la Guerra y la Revolución (2011-). Based on a wide-ranging selection of artworks from the Per Amor a l'Art collection, the exhibition takes a look at the bonds and divergences between the ornamental and abstraction beyond the confines of historic debates. The title of the exhibition is a riff on Ornament and Crime, the essay written in Vienna in 1908 by the architect Adolf Loos, which became a kind of manifesto for disornamentation in art and architecture in the 20th century. At the same time, modernist thinking and the first theoretical essays on abstraction advanced a radical separation between art and decoration. The fear that abstraction could be considered as a mere decorative exercise connected to the real and devoid of spirituality and purity, led to the condemnation of ornamentation, which was perceived as a threat to the emancipatory potential of aesthetic experience. It includes works by Heimo Zobernig, Akira Sato, Cristina Iglesias, Juan Uslé, Teresa Lanceta, David Reed, Anna-Eva Bergman, Aaron Siskind, Renger-Patzsch, Araki, Ángela de la Cruz, Harry Callahan, Herbert Franke, Imogen Cunningham, Robert Mapplethorpe, Esteban Vicente, Inma Femenía, and Hans Peter Feldmann, among others. This exhibition explores the history of Bombas Gens, from when it was first built until today, and it does so through a series of images, objects and eye-witness accounts that examine the architecture, the work inside the factory, and the surrounding urban environs. The exhibition includes a series of photos of the factory taken by Manolo Laguillo.